With a great selection of activities for children both young and young at heart, Chantilly is an ideal location to spend quality time as a family. Start your day with a hearty breakfast at one of the many family friendly restaurants in the area. 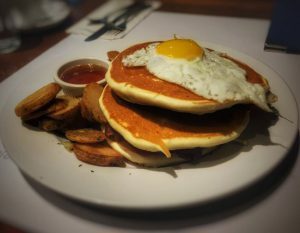 Eggspectation, a Canadian chain with an extensive menu, serves all day breakfast, as well as delicious brunch, lunch and supper options, and will keep everyone’s palate happy, especially those of parents, who will delight in the specialty coffee menu. After fueling up for the day, enjoy a visit to the Steven F. Udvar-Hazy Centre, a companion institute to the Smithsonian National Space and Aviation Museum in Washington DC. The facility has two enormous hangers where there are thousands of space and aviation artifacts on display, including a supersonic Concorde airliner, a Lockheed SR-71 Blackbird and the retired Space Shuttle Discovery. 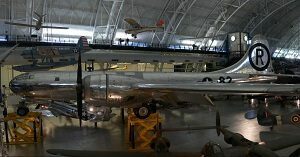 The Steven F. Udvar-Hazy Centre has something for everyone, and even has its own Mcdonald’s for a quick lunch option without having to leave the museum. You can easily spend several hours wandering around the museum, experiencing the interactive science and technology displays and for the more adventurous, blast off in a space shuttle or practice barrel rolls in an F-18 Hornet with the facility’s flight simulator capsules. In addition to the vast museum space, the Steven F. Udvar-Hazy Centre also boasts a bird’s eye view of the Washington Dulles International Airport from a 360-degree viewing deck inside the Donald D. Engen Tower. The whole family can watch planes take off and land on the airport runways, a sight sure to impress and excite any child pr aviation enthusiast. Directly next door to the tower is the Airbus Imax Theatre. With a screen that stands 6 stories tall, this is the largest movie theater screen in the state. The theatre screens 3D educational films several times a day and even shows Hollywood Blockbusters after museum opening hours. After your visit, there are plenty of activities in town to occupy your children. Relax and get creative at the local Clay Cafe, where you can paint ceramics or enroll in a workshop and learn to throw your own pottery. You may also choose to relax in one of the many local parks in the area, or go for a walk on the Rocky Run Stream Valley trail. If you still have tons of energy, head over to Monster Mini Golf, a large 18-hole indoor course, complete with black light animated monsters on each hole, a laser maze and an arcade that’s fun for the whole family. For dinner you can’t go wrong with local favorite, The Burger Shack, for classic american diner food and a children’s menu that will please even the pickiest eater. Without a doubt, Chantilly is a family friendly town where you’ll be spoiled for choice when it comes to dining out and finding activities to do as a family.